Lorenzo “Jovanotti” Cherubini is one of the biggest pop stars in Italy. We worked together in 2016 on a music video that I directed and his team used clips from some of my videos for previous concerts of his, but this was the first time I created original content for one of his tours. 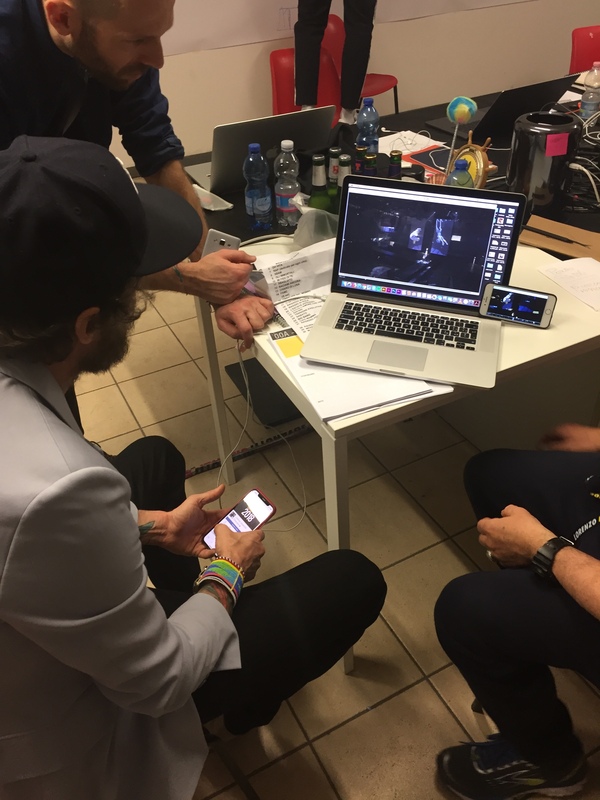 It happened that right when creative directors Carlo Zoratti and Sergio Pappalettera were gathering ideas for visuals I was experimenting with VR drawing apps and we thought the technique could be applied for a live concert. 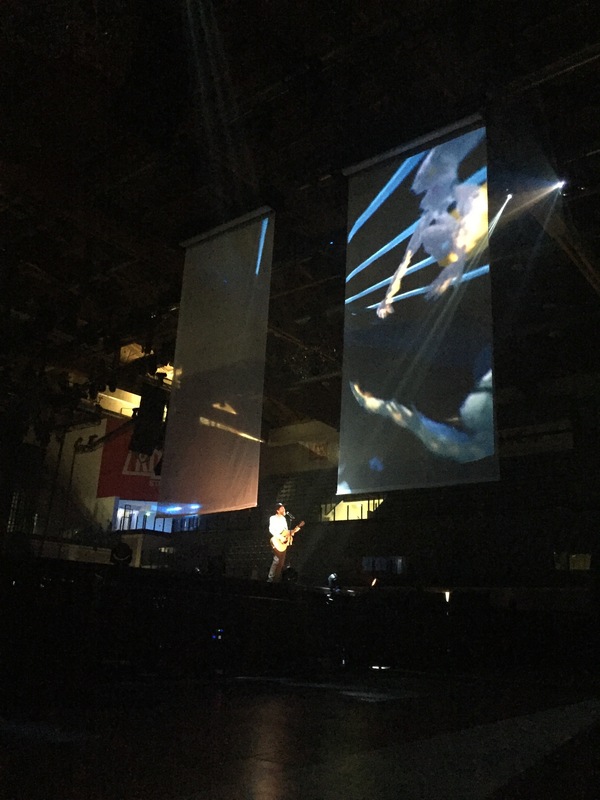 The catch was that they wanted to project on a “tulle”, the semi-transparent screens, and they had two of them that were narrow and tall. So the challenge was to create visuals that would fit in that custom format. In the end, we decided to start with on the huge screen and then lower the tulle screens and move the projection there. It was the only time they used the tulle during the concert, so the set up left quite a mark on spectators. 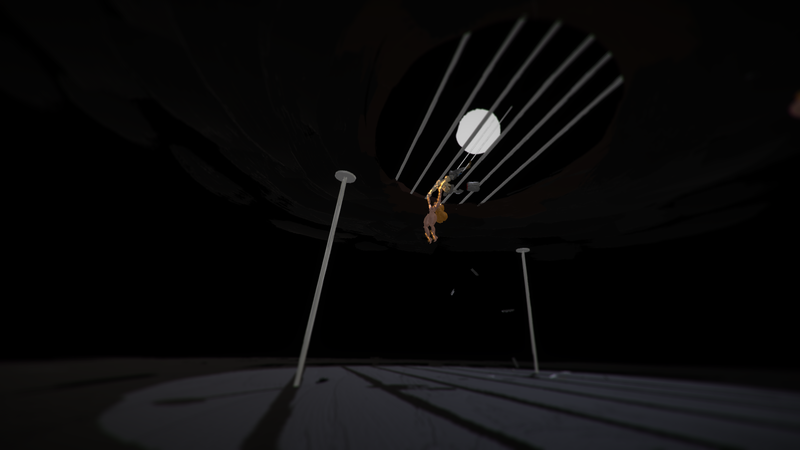 For non-italian speaking peeps, the song is a romantic ballad- hence the trapeze artists couple. An early design of the two characters. 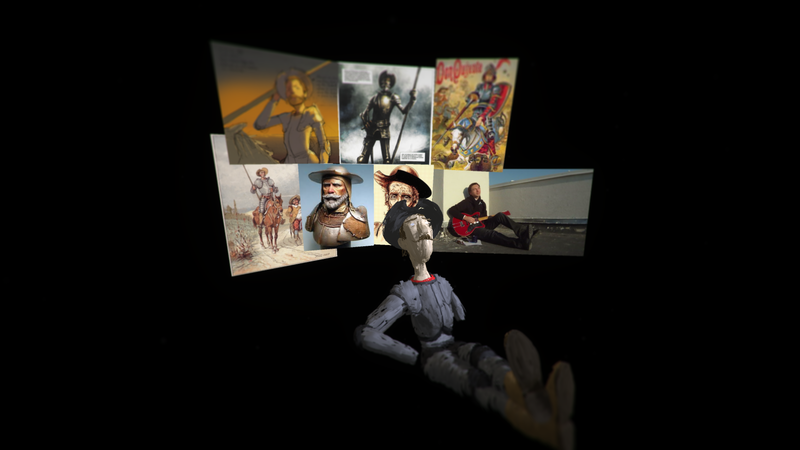 We then decided to make the man Don Quixote, because it was the “loose” theme of the show and we thought it would be good to reference it once again. 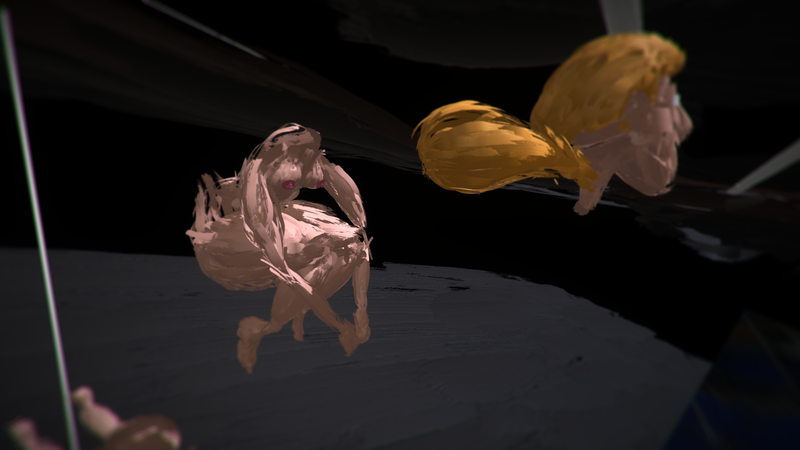 Painting using references in VR is the coolest thing ever. Not that you massively care about this particular detail, but there was a cat chilling in front of a fire next to me while I painted inside the headset. More painting with references, because you know, it’s the coolest thing ever. 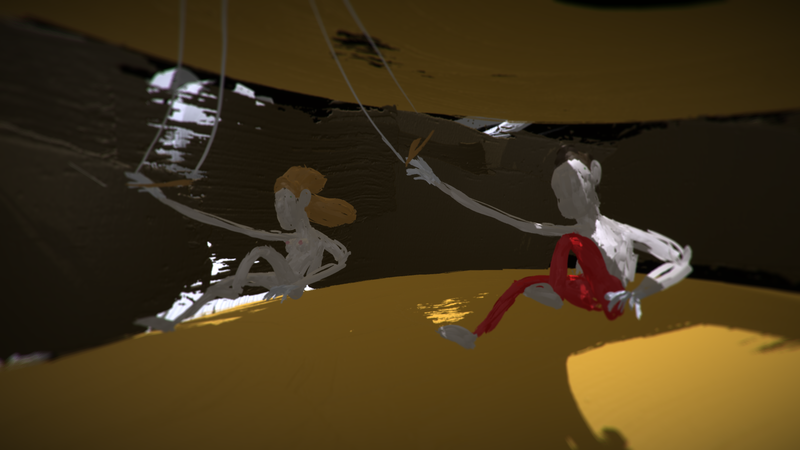 I painted the two initial figures of the man and woman, and then modified them based on what each shot required. A bird’s eye view of a backflip sequence. This position clearly was coming from the previous shot and clearly needed some touching up. Doesn’t this image make you want to go and make love? No? Well right at the end of the song at the tour’s first date there was a couple next to me making out massively, so there’s that. 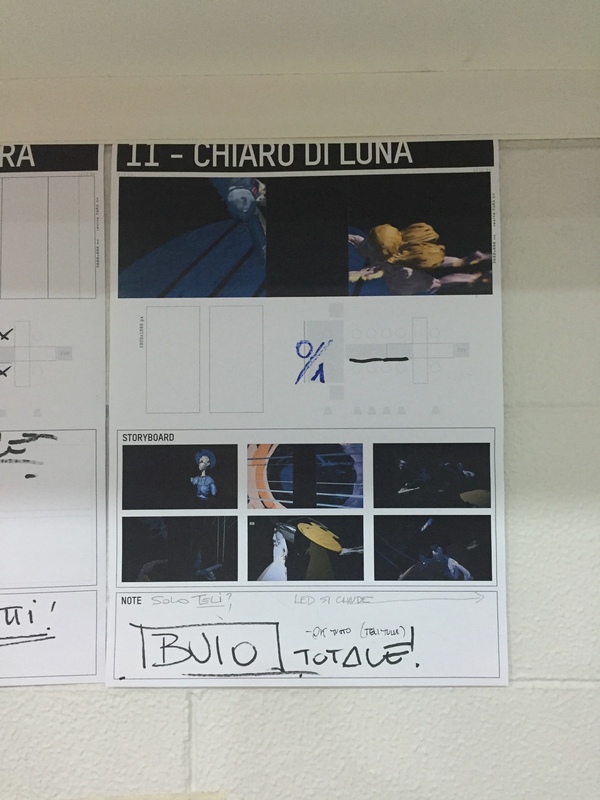 I went to Rimini where the whole team was prepping the show, and they had the whole concert storyboarded out. We did a few tests with Jovanotti singing the song and trying out different set-ups. Then Jovanotti approved everything and I could go back home to chill with the cat in front of the fire.